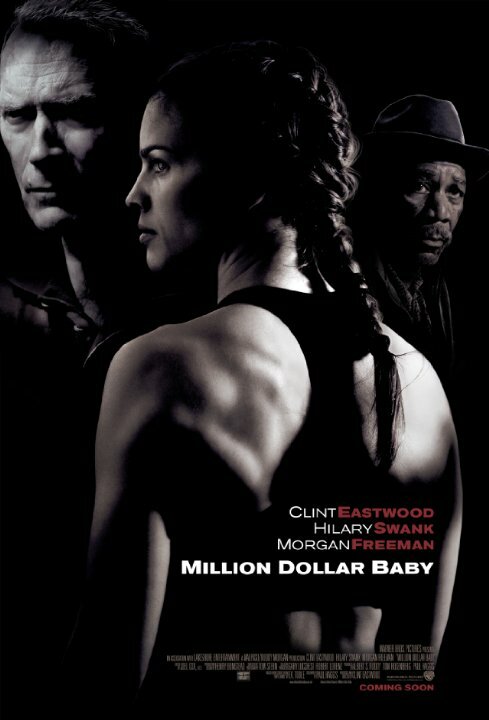 Synopsis: A determined woman works with a hardened boxing trainer to become a professional. Did You Know? Clint Eastwood was the only Best Actor nominee for 2004 to play a fictitious character. Quotables: EDDIE: Seems there are Irish people everywhere, or people who want to be. This movie is so great. Hilary Swank is wonderful, Clint Eastwood is a charming curmudgeon, and Morgan Freeman is brilliant. And let’s not forget about Margo Martindale. She is excellent as Maggie’s unappreciative, deadbeat mom. I’m not a boxing fan by any stretch of the word, but this is such an inspiring, heart-rending film and I love it.